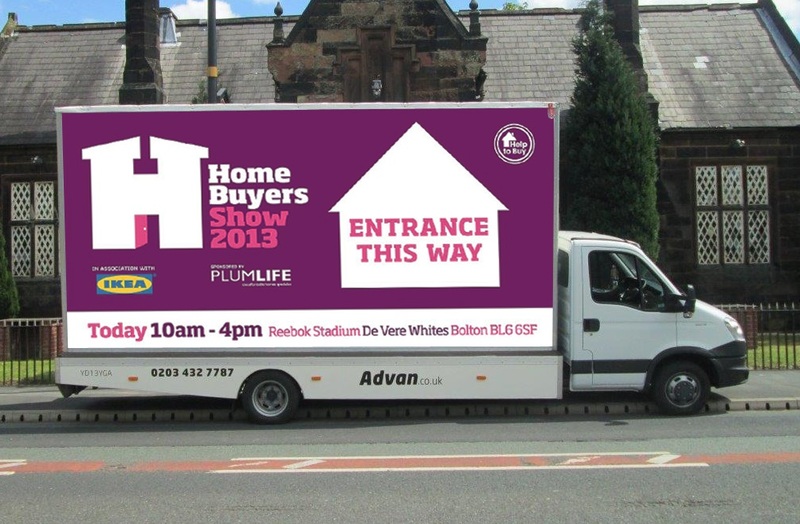 Home ownership specialists PlumLife have chosen the format of Advan marketing to promote the Home Buyers Show 2013, with a static vehicle from Transport Media placed outside the event to guide visitors into the venue. Taking place on the 12th October at Bolton’s Reebok Stadium, the show will run from 10 am until 4pm, with the Advan in place from 8am through until 4pm. A plum-coloured background is used to display the Home Buyers Show 2013 brand and logo, with the public-facing creative space directing onlookers inside with an “entrance this way” sign; while the rear of the Advan displays “thank you for visiting the show”. Event time and location are printed along the base; and sponsors PlumLife and event partner IKEA both have logos featured within the artwork. The show is also supported by the government’s ‘Help to Buy’ scheme stamp. In its debut year, the Home Buyers Show aims to get residents of Lancashire and Greater Manchester on the property ladder. Over 50 exhibitors will be on hand to explain government initiatives and give financial and legal advice, with a schedule of seminars designed to give visitors the information they need to gain the keys to their own home. 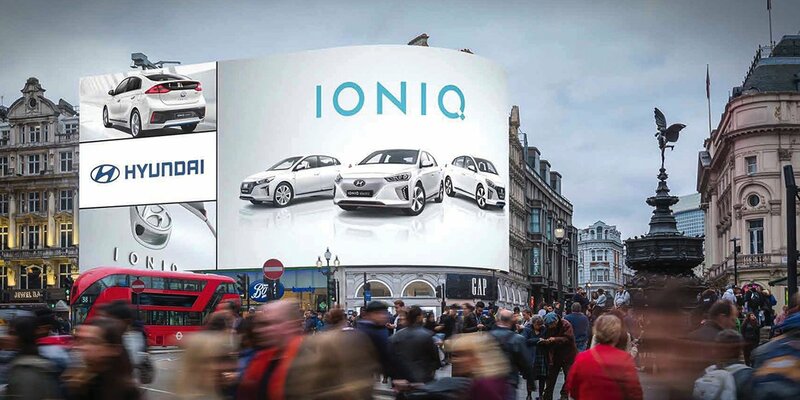 Advan marketing presents brands with the opportunity to be both creative and flexible in their campaign. The Home Buyers Show 2013 will benefit from the dominating 48-sheet space displayed outside the event, gaining instant access to passers-by and effectively guiding visitors into the entrance.